I’m pleased to announce that the USPTO has published its Performance and Accountability Report (PAR) for fiscal year (FY) 2018. The PAR serves as the USPTO’s annual report, similar to what private sector companies prepare for their shareholders. Each year the USPTO publishes this report to update the public on our performance and financial health. Our FY 2018 PAR charts the agency’s progress toward meeting goals outlined in our 2014-2018 Strategic Plan: optimizing patent quality and timeliness; optimizing trademark quality and timeliness; and providing domestic and global leadership to improve intellectual property policy, protection, and enforcement worldwide. In addition, the PAR provides information on the USPTO’s progress towards a broader management goal: achieving organizational excellence. These goals drive the quality and quantity of our service to intellectual property stakeholders over the last five years. While the PAR is a record of our achievements, it is also an honest discussion of the challenges we face as an agency moving forward under our new 2018-2022 Strategic Plan, which was published in November. 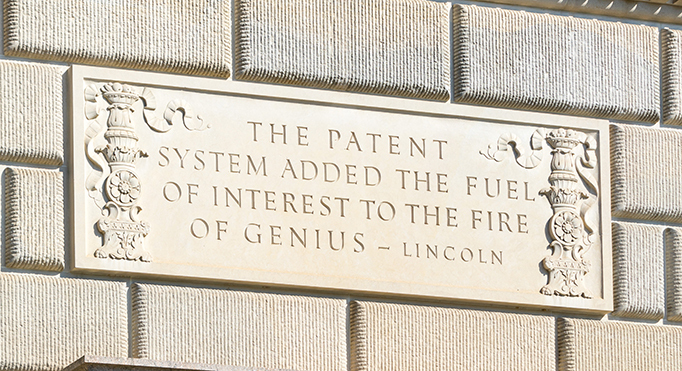 We will continue efforts to issue predictable and reliable patents; continue implementation of the patent dispute resolution portions of the America Invents Act (AIA), including ensuring that procedures and standards are balanced and predictable; monitor and help address dynamic IP issues in Congress and the Courts; maintain the high and sustained trademark performance level in the face of significant trademark application growth rates; improve the customer experience and develop outreach at both headquarters and regional offices; expand on dissemination of data; maintain sustainable funding; and ensure our IT systems enable our nationwide workforce to serve our customers with a “24/7/365” operational capability. Here at the USPTO, we take pride in producing a PAR that meets the highest standards of transparency, quality, and accountability. The PAR contains a wealth of data and historical information of interest to our stakeholders, including data on patent and trademark examining activities, application filings, and agency staffing levels. This information is conveniently presented in the workload tables section at the end of the PAR. On the issue of financial performance, FY 2018 marks the 26th consecutive year that the USPTO’s financial statements have received an unmodified audit opinion. Our clean audit opinion gives the public independent assurance that the information presented in the agency’s financial statements is fairly presented and follows generally accepted accounting principles. The auditors did note a deficiency in our internal controls related to managing and configuring IT system access. We have already begun developing plans to address the auditor’s concerns. Despite this deficiency, the auditor found no material weaknesses in the USPTO’s internal controls, and no instances of non-compliance with laws and regulations affecting the financial statements. The PAR is a faithful snapshot of the USPTO’s FY 2018 performance. I hope you find value in this document, and that it allows you to glean greater insights into the agency’s activities and achievements.